This is a card I made for my brother-in-law. such a great design! Thanks, Celeste! The stamp is the Itty Bitty "Damn....You're Old"
Fun image, and I love the bright colors! 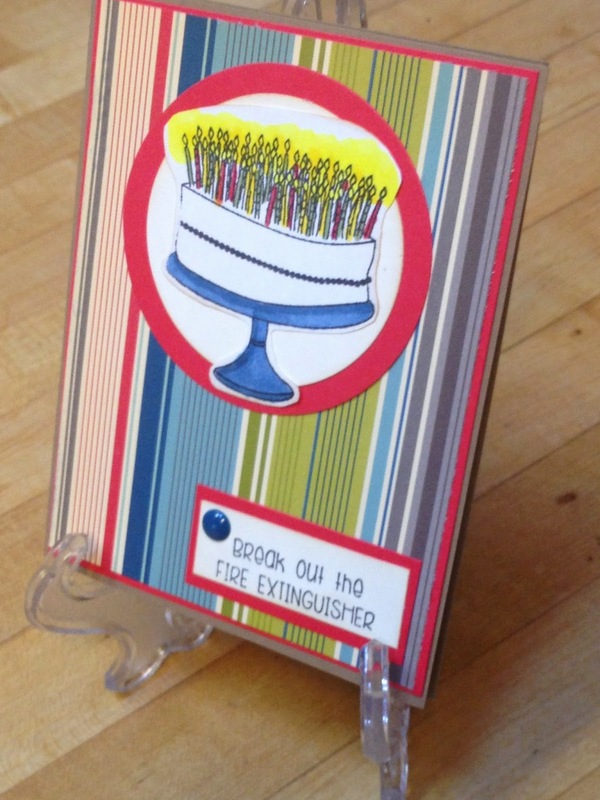 Fun card and perfect for a BIL! I am afraid to get this stamp because I am not good at coloring. You rocked this. Whoa! Whole lotta candles LOL! Love your senti! Found you at Unity's Friends w/ Flair Friday! Stay Crafty! Look at those candles glow! Such a fun birthday card! I like this fun design and the candle glow. So cute. Love the colors!! 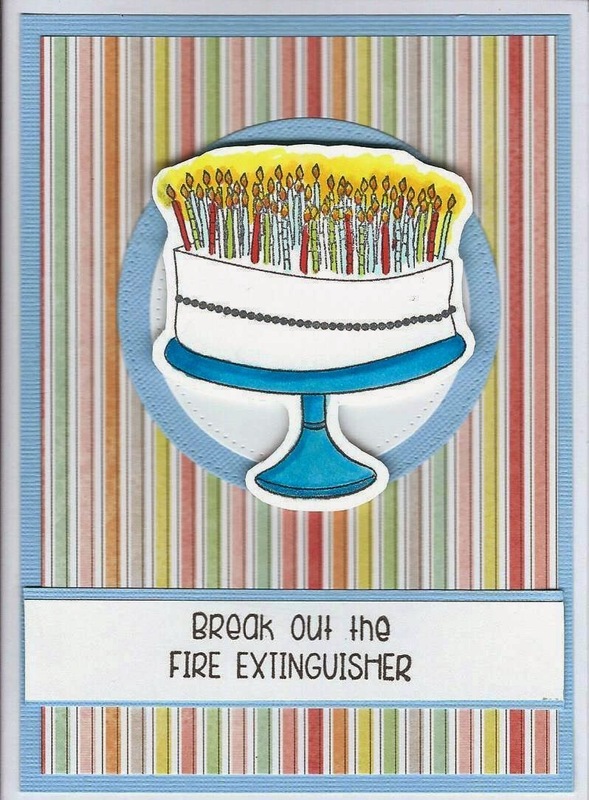 Isn't it so fun that we can get inspired time and time again by our creative friends…great card!! What a fun card, great colors!